Home | Reports | How councils work - Roles and working relationships in councils: are you still getting it right? Report: How councils work - Roles and working relationships in councils: are you still getting it right? 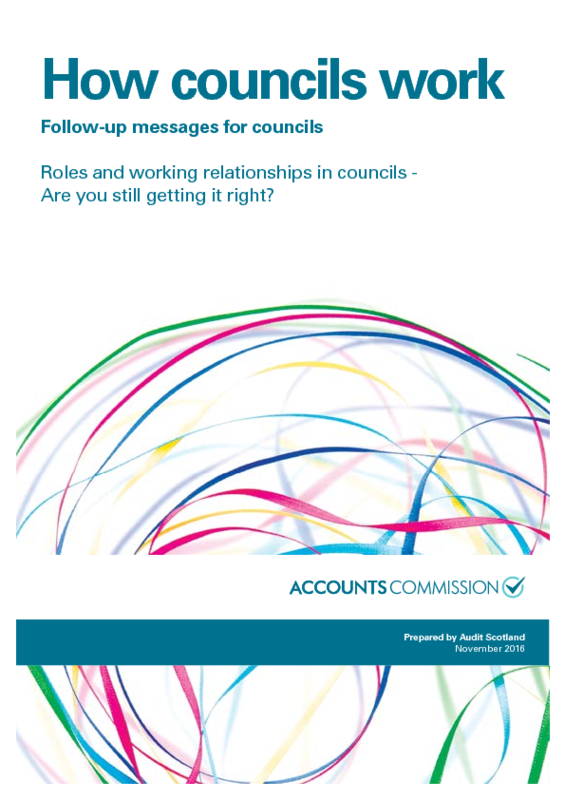 The Accounts Commission has published an update to its report on roles and working relationships in councils aimed at supporting councillors and officers. Our resource pages include more details about the report's headline messages and information about the round table discussions which were held as part of the research for the report.